Jiuquan, a prefecture-level city of Gansu Province, is China's aerospace center, where Shenzhou 1 Spacecraft, Tiangong 1 Space Station and Long March 2 Rocket were launched. 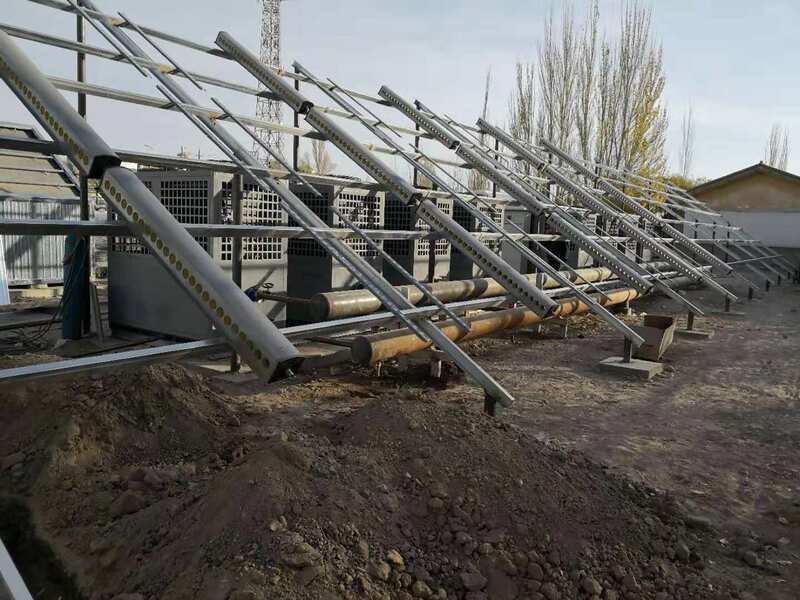 In this land full of magic charm and infinite vitality, SPRSUN successfully signed a 15,000㎡ heating project for Shahe Police Station and Guazhou Housing Estate in Jiuquan, Gansu. It is reported that the project uses many sets of SPRSUN 25p low temperature EVI heat pumps. So far, the project has entered the commissioning stage. Jiuquan belongs to the semi-desert arid climate in the middle temperate climate zone: annual average temperature: 7.5℃; the highest temperature: 36.6℃; the lowest temperature: -29.8℃. The difference of temperature between winter and summer is significant; it is dry in autumn while windy and sandy in spring. This is exactly the cold climate characteristic in Northwest China. Such a climate characteristic is absolutely no small challenge for any air source heating project. 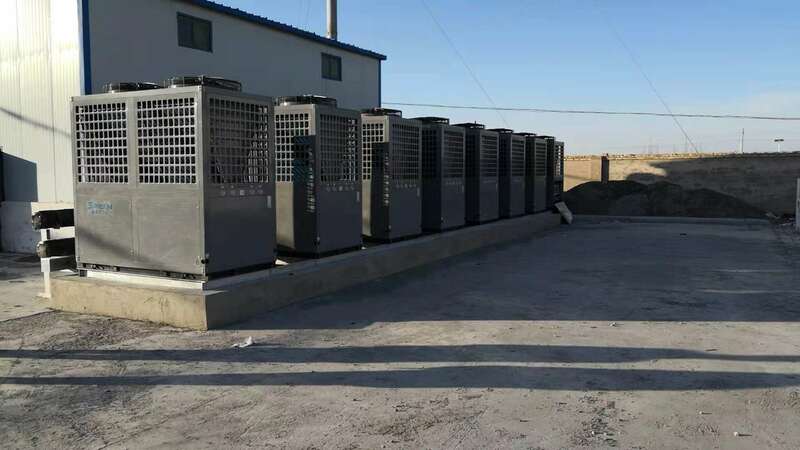 Due to their poor reliability and low energy efficiency ratio of heating in cold weather, most of the ordinary air source heat pump units cannot enter the cold and high altitude northwest region. 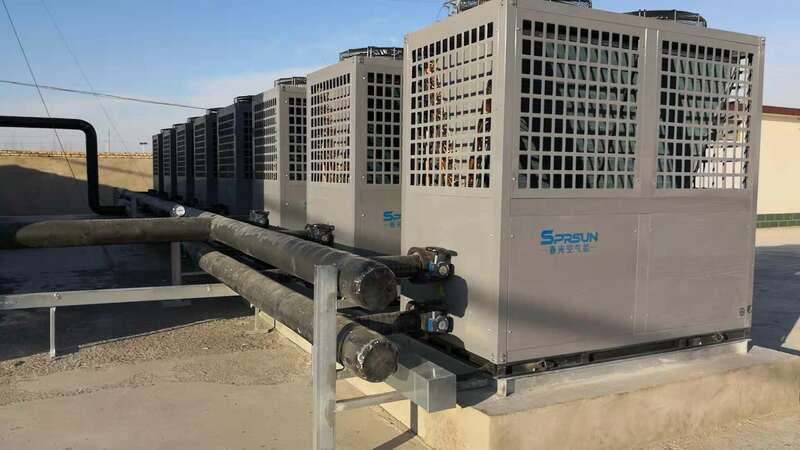 SPRSUN EVI low temp heat pumps are applied in such a big project, which does not only demonstrate our competitiveness in the EVI low temperature air source heating technology, but also shows our confidence in exploring the cold climate heat pump market. The EVI heat pumps independently developed by SPRSUN have super adaptability to cold weather. They can still operate stably at - 25℃ and supply strong heating, which meets the heating demands of most cold areas in winter.